XFX has created something that you haven’t seen for sure – a video card that can change its specs and become another one with the push of a button! 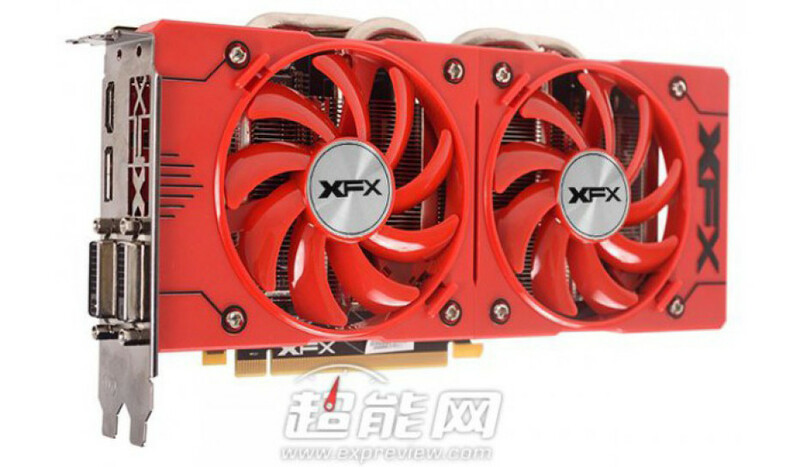 The new card is actually a Radeon R9 380 model that is called XFX Radeon R9 380 Red Limited Edition. The card has been specifically created for the Chinese Spring Festival and as of now will be sold only on the Chinese market. The XFX Radeon R9 380 Red Limited Edition comes in the red color that is popular during the Chinese Spring Festival and will be produced in limited numbers with each card having a unique code so wide market availability is not expected. The main feature of the XFX Radeon R9 380 Red Limited Edition is that it comes with a special button, which when used turns the card into a Radeon R9 380X video card. When this happens the card offers more stream processors, texture units and even increased GPU/memory clocks – the number of stream processors goes up from 1792 to 2048, while the number of texture units rises from 112 to 128. The GPU and memory clock speeds also go up from 990 MHz and 5700 MHz, respectively, to 1040 MHz and 5800 MHz. As expected, performance also goes up. Unfortunately chances are you will never get to see and use one of these cards but they are nevertheless a very interesting tech solution. What do you think about them?